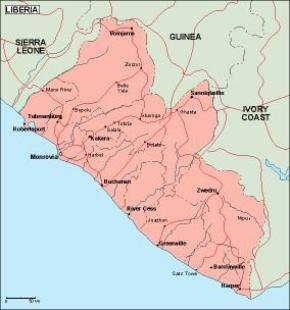 Liberia, officially the Republic of Liberia, is a country in West Africa. 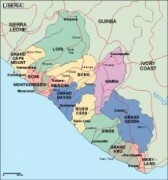 It is bordered by Sierra Leone on the west, Guinea on the north and Côte d’Ivoire on the east. 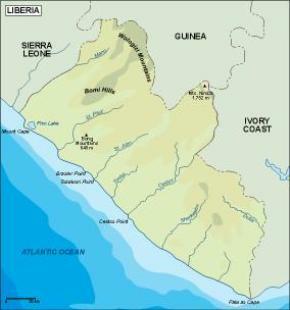 Liberia’s coastline is composed of mostly mangrove forests while the more sparsely populated inland consists of forests that open to a plateau of drier grasslands. 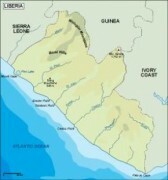 The country possesses 40% of the remaining Upper Guinean rainforest. 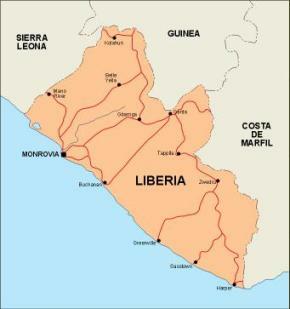 Liberia has a hot equatorial climate, with significant rainfall during the May to October rainy season and harsh harmattan winds the remainder of the year. 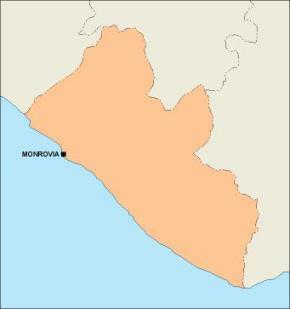 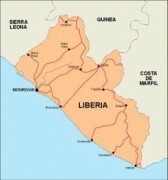 Liberia covers an area of 111,369 km2 and is home to about 3.7 million people. 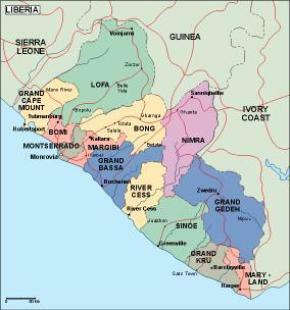 English is the official language, while over 30 indigenous languages are spoken within the country.